This fibre charged chickpea penne pasta has 2x the protein of regular pasta & is Good for the Gut*! It’s just waiting to be served up with your favourite sauce – from the all-time favourite tomato-ey Bolognaise to the Pesto that’s bursting with fresh herbs. 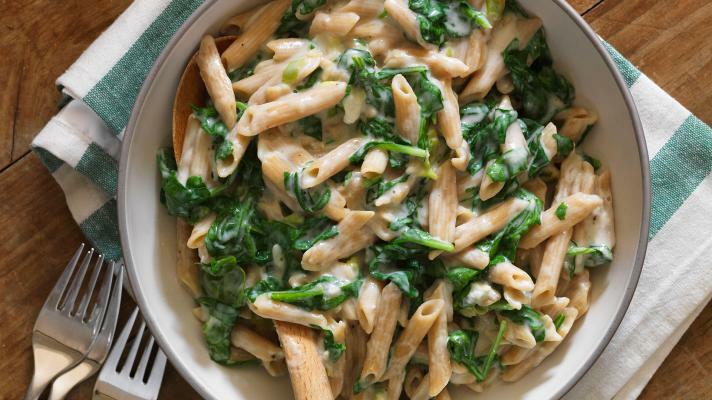 Dollop on this creamy goat's cheese and spinach sauce for guaranteed feel good food.